Hours after revelation that PM's wife, Sara Netanyahu, is a suspect in Case 4000 investigation, report claims PM's son also suspected. 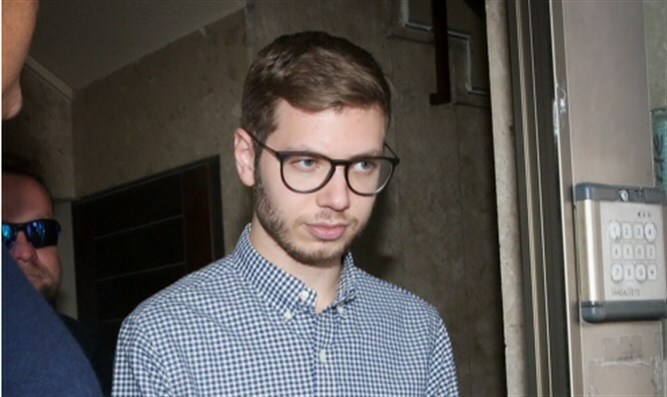 Israeli Prime Minister Binyamin Netanyahu’s son, Yair Netanyahu, is a suspect in a long-running police investigation into alleged bribery, Hadashot reported Thursday night. According to the report, police are investigating the possibility that Yair Netanyahu was directly involved in establishing the alleged quo pro quo arrangement between the Prime Minister and an Israeli businessman. Known as the Case 4000 investigation, the allegations include claims that Prime Minister Netanyahu pushed for preferential treatment of the Bezeq telecommunications company, which is owned primarily by businessman Shaul Elovitch, in exchange for favorable coverage in the Walla News online outlet, also owned by Elovitch. Earlier on Thursday, a police representative told an Israeli court that the Prime Minister’s wife - and Yair Netanyahu’s mother - Sara Netanyahu was also a target of the Case 4000 investigation. The Netanyahu family pushed back against the report, claiming that the allegations were completely false. “Case 4000” is one of several open investigations facing the Prime Minister. In February, police recommended that the Prime Minister be indicted in both the Case 1000 and Case 2000 investigations, each of which involve allegations of preferential treatment or assistance given in exchange for either gifts or positive media coverage. Earlier this month, police questioned Binyamin Netanyahu for the 12th time in connection with the Case 4000 investigation.